I think that's a real dog It looks just like a stuffed toy. 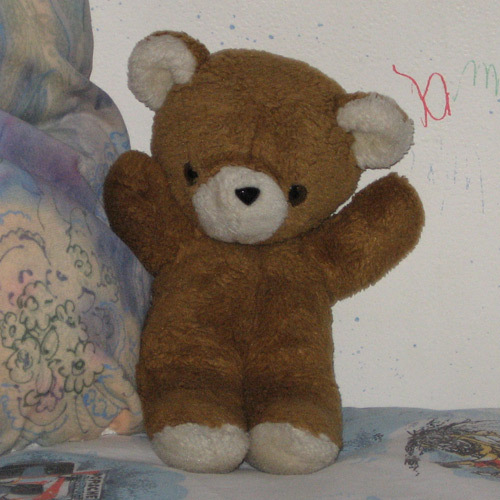 His name is Corduroy and he was my first ever teddy bear. He currently resides in the corner of my bed where he has his own pillow. His name is based on the book serie and the tv movie Corduroy (http://www.imdb.com/title/tt0276878/). Great kids movie about a real teddybear that is living in a department store. Unfortunately he is missing a button of his suit so at night he is going on a big adventure to find a new one.